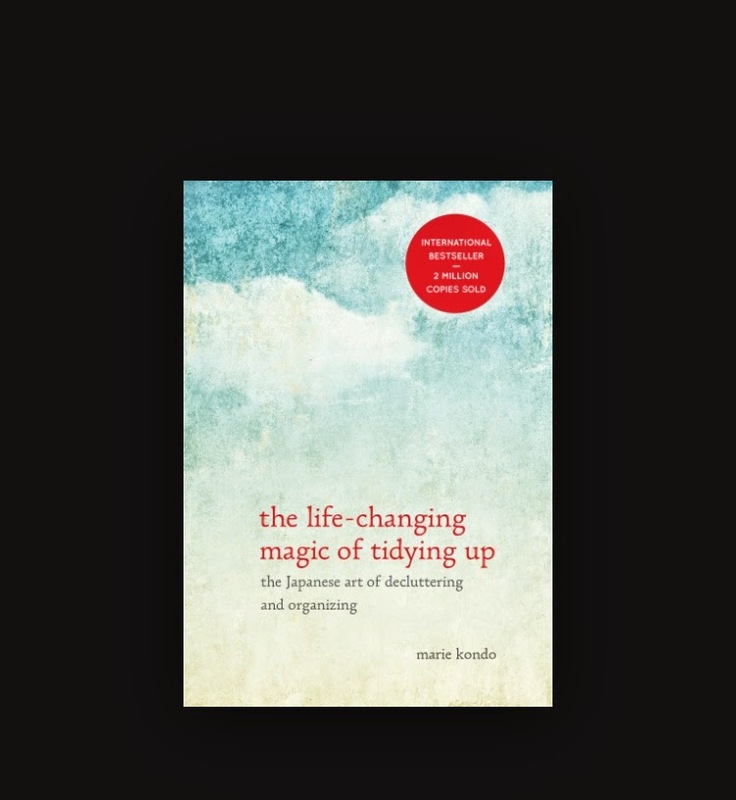 On a recent trip to Barnes and Noble, I came across this book: The Life-Changing Magic of Tidying Up, by Marie Kondo. While my kids spent a few minutes in the kids' section of the store, I started flipping through the pages and was kind of hooked. I'm not going to lie. I'm a bit of a...mess. I don't intend to be. I don't like to be. I know that a straightened up home and work space is more conducive to a restful family life and productive career. But let's be honest - life is a moving target. 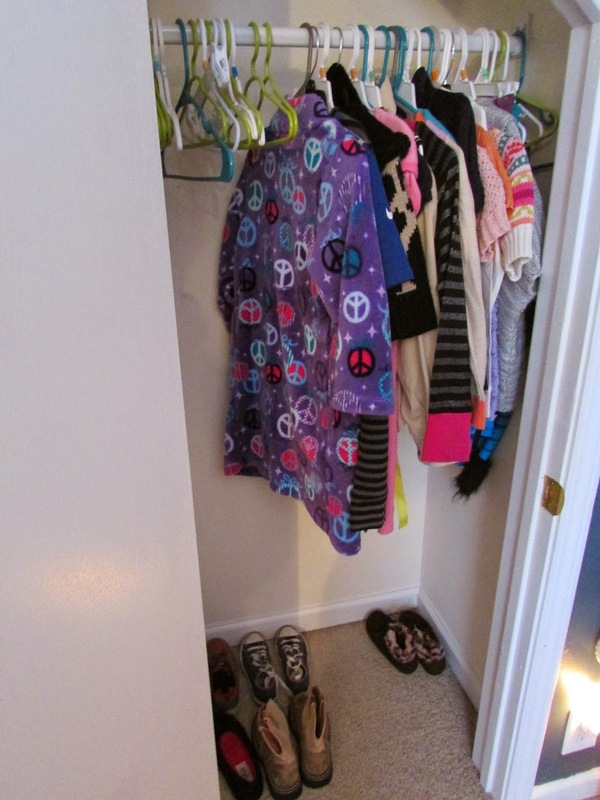 And there are more days where we use our house as a place for clothing changes than anything else. We have two kids in elementary school with after school activities, a dog, and two full-time businesses that we run out of our home. Every working hour we spend working, and then the rest of the time is filled with meal prep, homework, sports and church events. Weekends come and we like to play, and often my husband is out of town on business. I look at our life, and then I read a book like this and I realize that the laundry list of excuses for our untidy home are just that, excuses. And unless I take some initiative to change that, I will be writing you in another few years and the story will be the same. You know how I know? Because I was talking about this very same thing in 2012 in this post. So, back to Marie Kondo. She's kind of a genius. And don't let the soothing cover and quaint idea of "tidying up" fool you. In fact, given the chance I'd re-name the book Get Rid Of All the Stuff You Don't Absolutely Love to Make Room For the Stuff You Do. That might be a bit more accurate. And a bit scary. But possibly more liberating, I think. I will admit, I was extremely skeptical. I have straightened up my house before. Organized. Purged. I have done the same to the sewing room. And every time, my work and home spaces have returned to their default stage of mess and clutter. I have tried. And I have failed. But Marie has claimed that her clients haven't. What was I doing wrong? And then I remembered the little drawers upstairs in the sewing tower. This is where I keep the linings for my cash envelopes. 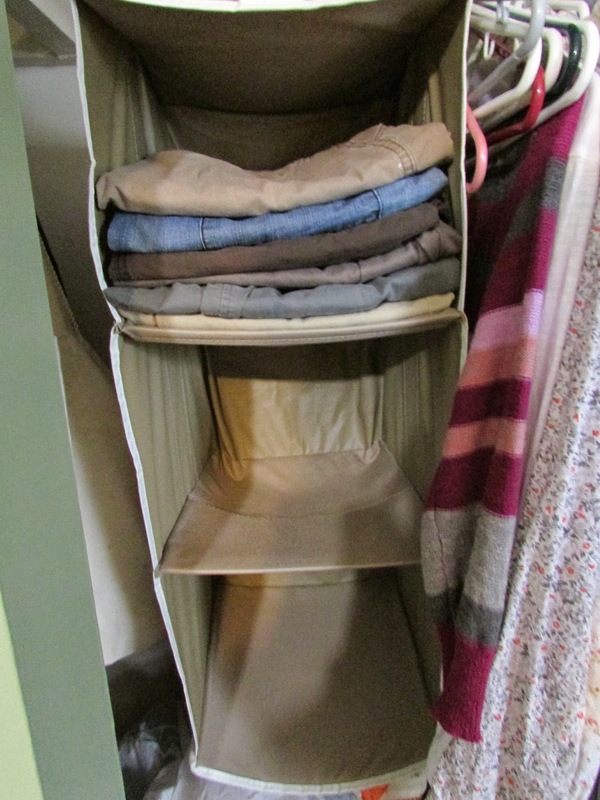 The top drawer has pre-cut pieces of interfacing and muslin for zipped pouches, and the lower drawer has larger pieces of muslin for the open envelopes. I "organized" this drawer months ago. Months. And it looks the same as the day I did it. No reverting back to clutter. It was so long ago, that I wasn't even on this quest yet, hadn't read this book yet and don't have a before picture. I just decided I needed a spot for some of my shop's most used supplies, cleared away everything that wasn't these three pieces, put them in and carried on. After every set of cash envelopes I make, I return these pieces to their assigned spot. They are there when I need them. If the drawer is empty, it means more pieces need to be cut. It's efficient, and professional and pleasing and stress-reducing. All of the things I hope to feel when working and living in my home. Can we call this my lightbulb moment, people? I have been working through this little book as well. 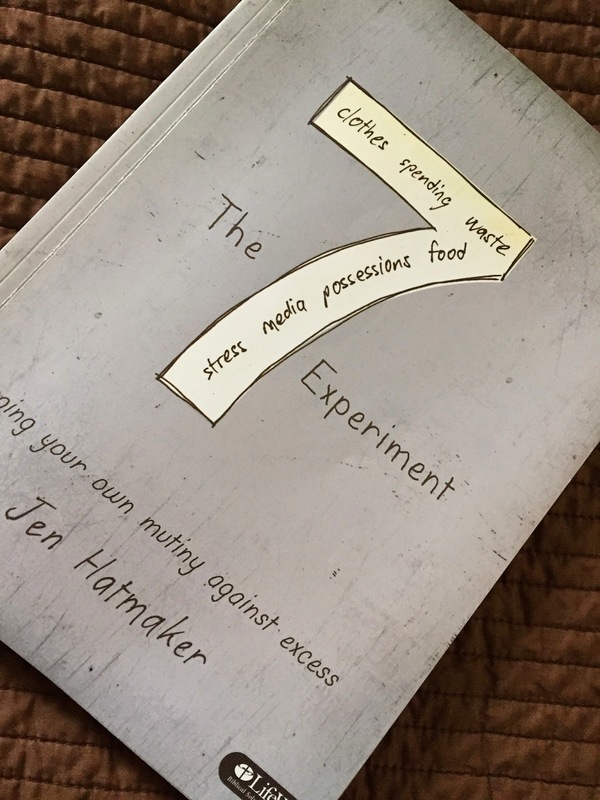 It is the workbook companion to 7: An Experimental Mutiny Against Excess by Jen Hatmaker. (sidebar: both books are about minimizing and have really long titles...tee hee) I had read her book by the same title a few years ago and loved it! Jen's writing style is very simlar to my inner monologue, only WAY more funny. And she challenges herself, and therefore the reader, to consider 7 aspects of life where we as Americans definitely tend to be more gluttonous. This workbook version helps you take it one step forward, encouraging you to find ways to give up the more more more approach to life in these 7 different areas. We have a lot of stuff. Too much stuff. And a lot of that stuff is stuff I don't need, want, use or love, and most can certainly better serve someone who does. Since a lot of the areas of both "Tidying" and "7" overlap, and because of the tiny but significant success of "the drawer" I have decided to go forth and conquer the rest of our house and my workspace. Eek! Coincidentally, our kids' school is doing a clothing donation on May 1. I have a time-line, I have a desire and I have a category to tackle. Go through our clothes (and my fabric) and get rid of everything that I am not going to use. 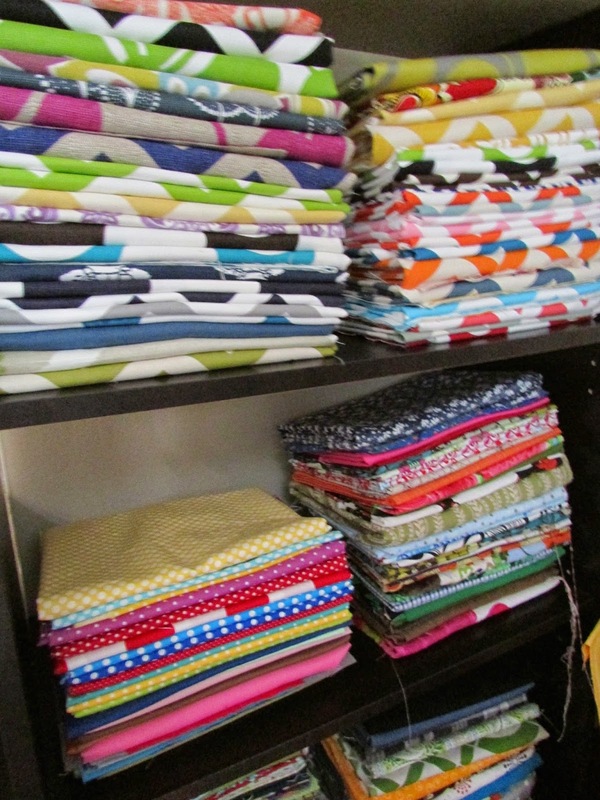 - Same goes for my fabric stash. Here are some pictures to keep me motivated. 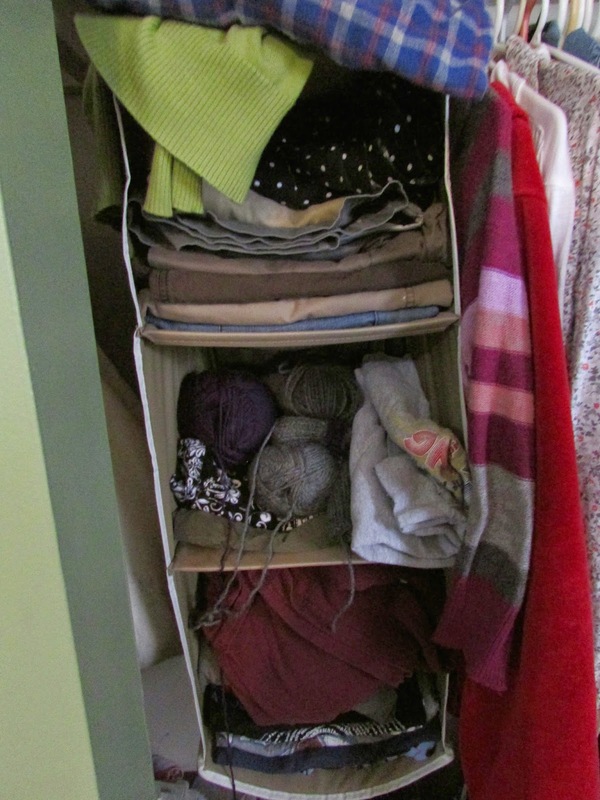 A closet organizer "before" I started. You guys....there's yarn in there. With my clothes. And stuff piled on top, because there wasn't room in there and no more hangers available. The same closet organizer today. With two empty bins because the shirts that were crammed in there are either gone, or I had enough room in my drawers to fold them in there. And you can see empty hangers ready for things that need to be hung. T-shirts. I have a lot of them too. And yes, most are in support of NY area teams, if you need to look away. Go Rangers! Today we worked on my daughter's room. Oh how I wish wish wish I had taken a before picture. Let's just say there was another bar below this one and you couldn't see the floor. Now, she can actually find an outfit and get it out without a crowbar. And her cubbies. I don't know that an 8 year old will be as careful with the piles, but the fact that each square has clearance at the top makes me happy for today. Fabric. One of the bookshelves-full. 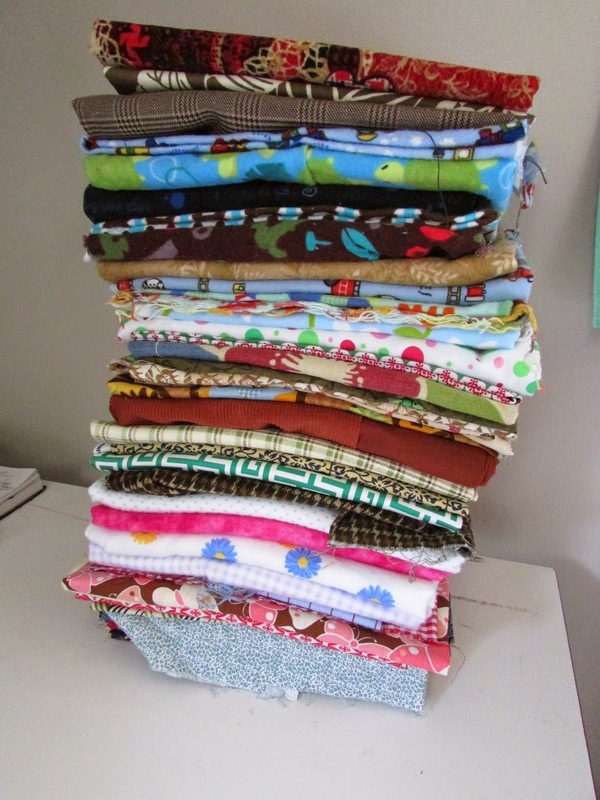 Folded carefully and organized. And a purge pile. Coming to a destash listing soon. I know I am actually working in the head space of "things I'm not going to use." And I need to move more into the idea of "things I don't love." I'm aware. I'm working on it. But this is a start. And I give myself until May 1 to truly purge all the things that I don't love, don't "spark joy" and aren't useful in the clothing/fabric department of my life. I am going to teach and help my kids to do the same, and I'm going to encourage my husband to jump in too. I'm hoping that the end result provides us with organized closets and fabric supplies, a large stack of usable clothes and fabrics to people who may need/want/love them and the encouragement we need to tackle the next item on the list. If anyone out there is reading either or both of these books and would like to chime in, I'd love to hear from you! I think it's encouraging to hear about what others are doing and the success they are having.